Kingdom Hearts HD 2.8 Final Chapter Prologue… In this generation of endless sequels and imports, even that’s a mouthful. On the bright side, the contents of this compilation are more digestible, as is the release date. 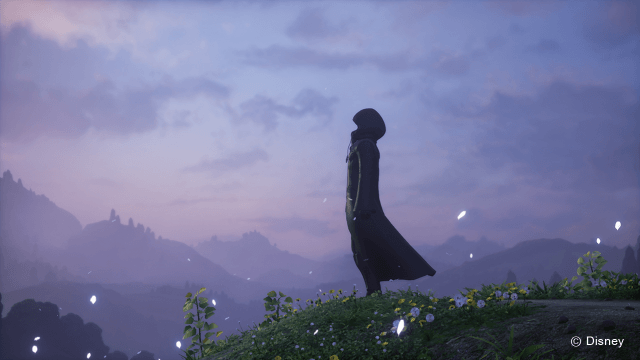 With confirmation from today’s trailer, Kingdom Hearts HD 2.8 Final Chapter Prologue ships to eastern and western markets during December, later this year. 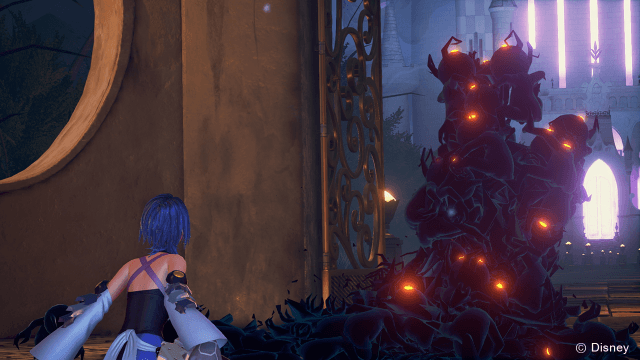 Unless you’re attending E3, this bundle is the first taste of Kingdom Hearts III gameplay we fans can get our hands on, evident from Aqua (the blue-haired girl) and her battles against the Heartless in the Realm of Darkness. The fight looks gorgeous of course. A playable Disney film in essence, did you expect anything less from this PlayStation 4 exclusive? Aqua combats a stream of Heartless as they rain down upon her, more numerous than any skirmish besides the canyon brawl from Kingdom Hearts II. It’s not long before the heroine then evens the odds with her spellweaver attack. You already knew about Aqua’s fate, however, had you played Kingdom Hearts: Birth by Sleep and Dream Drop Distance. The latter has been packaged with Kingdom Hearts HD 2.8, and chronicles Sora and Riku’s training to become keyblade masters in anticipation of an imminent war. They must rescue Aqua; with her help, they could match the strength of Master Xehanort (the series’ main antagonist) and his army. To further flesh out the franchise’s events, Kingdom Hearts χ Back Cover sheds light on the mysterious foretellers, who played a part in the mobile-only Kingdom Hearts χ. What happens when you fail to prevent a world-altering event, despite having preconceived knowledge of it? I guess we wait until winter. Perhaps some of you are scratching your heads from all the subtitles, too. With the recent HD remixes, I thank Square Enix for unifying its franchise on two consoles at last. Prior Kingdom Hearts games launched on a multitude of platforms, including handhelds. If you’ve purchased a PS3 and PS4, it’s not too late to catch up before Kingdom Hearts III arrives. Right now, I’m content listening to the trailer’s music on repeat. Titled “Passion” (from Kingdom Hearts II), seldom does a video game theme convey so much heartfelt emotion – from hope to remorse – without a single spoken lyric. Maybe that’s just nostalgia at work. It’s surreal that we’re getting a new Kingdom Hearts game that advances the overall narrative for the first time in years, so expect more news surrounding Kingdom Hearts HD 2.8 Final Chapter Prologue as we get nearer to its release.